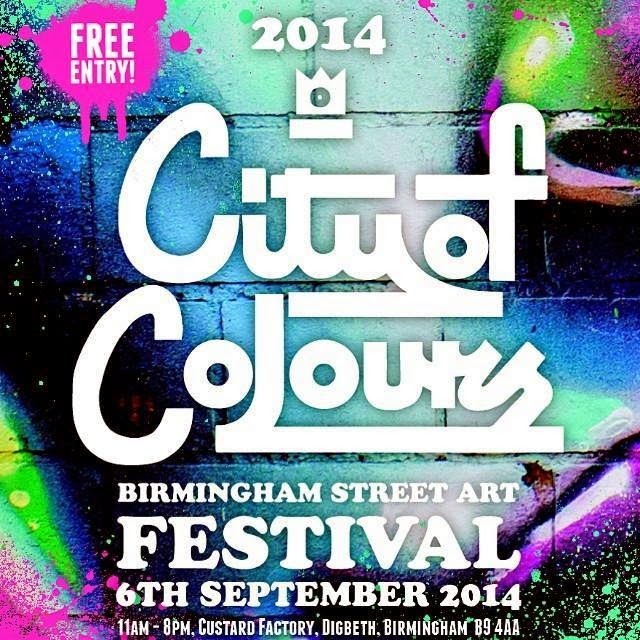 Saturday was the launch of the City Of Colours festival in Birmingham, celebrating art in the city. For regular readers you will know I have raved about the talented artists that adorn Birmingham streets. If you missed it you can check out posts about it HERE, HERE and HERE. Graffiti has been an art form that has fascinated me since I was little and it is finally time that street artists are getting more recognition. 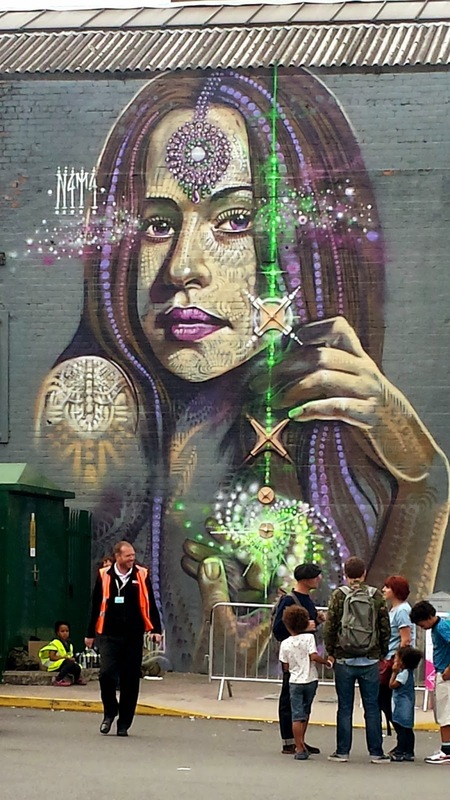 Birmingham has always had an excellent scene for art and you only need to take a walk around Digbeth to feel like you are walking through an urban gallery. When I saw City Of Colours being promoted on Kickstarter I knew it was something I wanted to support. Finally Saturday came and the festival was here. Kickstarter promised not only artists but food, music and all for free entry! The main bulk of the festival was taking place in The Custard Factory which is home to many creative enterprises, for normal day to day you can roam around shopping at anything from record shops to retro salons but from time to time the whole of the complex gets opened up to host big events. 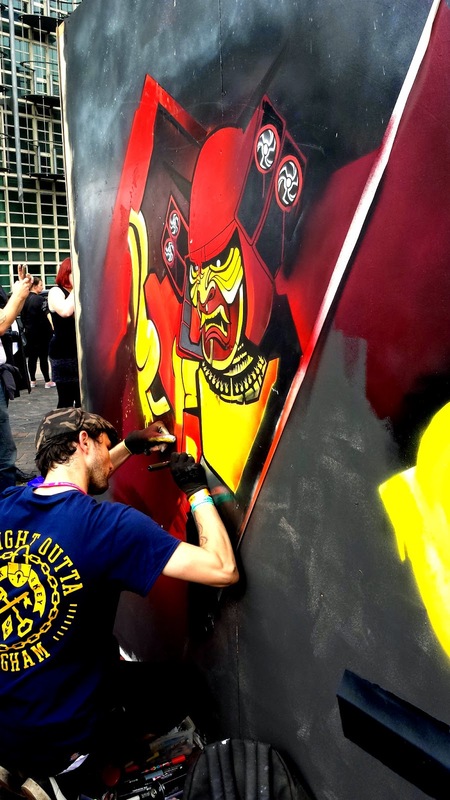 Another amazing one to check out at Custard Factory is Drop Beats Not Bombs keep an eye on the event listings page for vintage fares and live events. Having been a regular at Custard Factory events for some time my expectations were pretty high. You can get to Digbeth in just a short walk from all of the city centre main train and coach stations. Just a stone throw from the Bullring shopping centre. 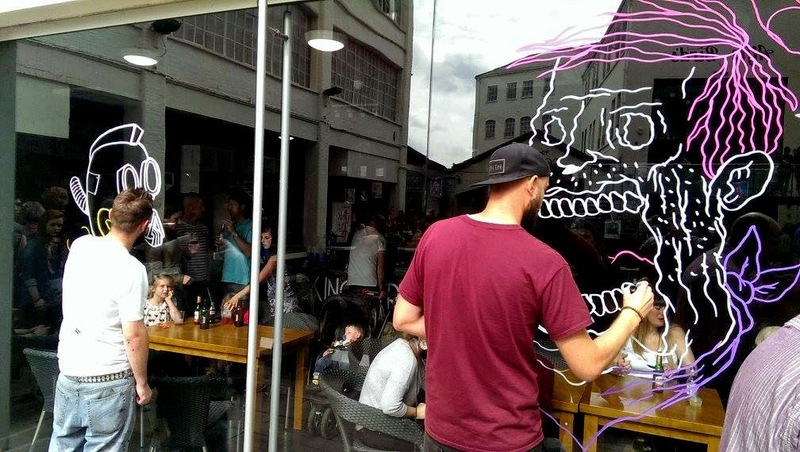 Birmingham is bursting with amazing art and music and this festival is great for the city. Promotion was fierce as I even picked up leaflets in Sheffield and heard about it from lots of different people, so the promotion team really got a buzz going. 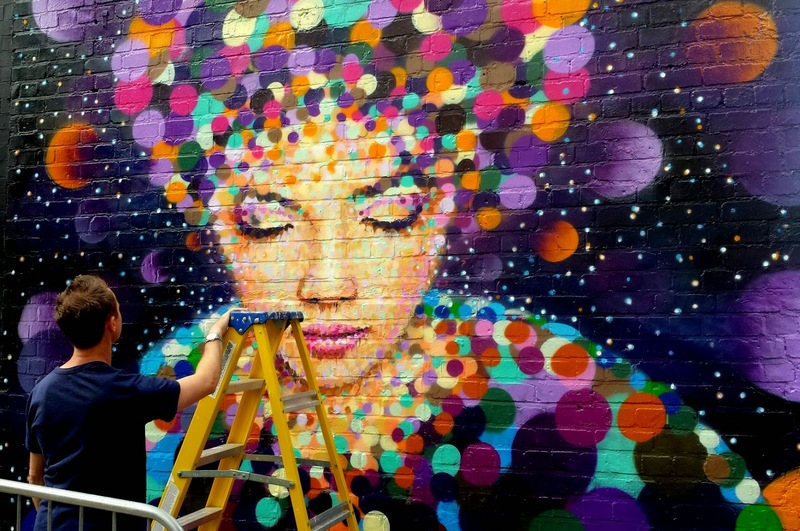 City of colours gives Birmingham a chance to prove that there is more to it than Lenny Henry, headless bats and a shopping centre. Young people were encouraged to take part in the festival by either volunteering or taking part in workshops on the day. Workshops were available in film, break dancing, spoken word and graffiti. As a manager of a youth company inclusion of young people is really important to me. This is something my team would have loved to have used their radio and TV skills for if it wasn't for the fire. The festival started at 11am going on until 8pm.We went down around 2pm and there were a lot of people. The crowd was really varied and the atmosphere on most part was really chilled and friendly. As with most art events you do attract your wannabe pretentious people who seem to look down on everyone else but on this occasion thank fully it was neither the artists or the staff, who instead were really approachable and friendly. Liskbot can be seen above on the doodle wall. I am a big fan of his work as he has just made me fall in love with his cheeky robots that pop up around Birmingham. As this was in a small area and there were a lot of people coming and going if you weren't in the cafe it was a bit difficult to stand and watch. I meant to go back and check out the finish product but got sidetracked. On entry we were given a map which highlighted all the places there would be artists. There were lots of big pieces in the custard factory itself like the one above. I love all the colours and how the circles make planets, stars and a beautiful woman. There was also a DJ in the main forecourt and PST were providing reggae beats under one of the arches but sadly I think it was a bit early as there didn't seem to be much going on by PST I imagine later it picked up but there was a nice vibe and Caribbean food available to buy. In Air night club car park there was some huge pieces being painted but because they were on such grand scale it was a bit impossible to watch without it just being paint drying but as a massive instillation that you could keep revisiting through the day to see the progress. I hope to pop back on the way from work this week and catch the finished piece to share with you lovely lot. In the Old Crown Car park there was food, live music and several artists working on boards put up for the event. Some were finished, chatting to people and enjoying the atmosphere and some were still working on their pieces, I liked that you could grab some drinks, listen to music and enjoy not only finished pieces but watching work be created in front of you. 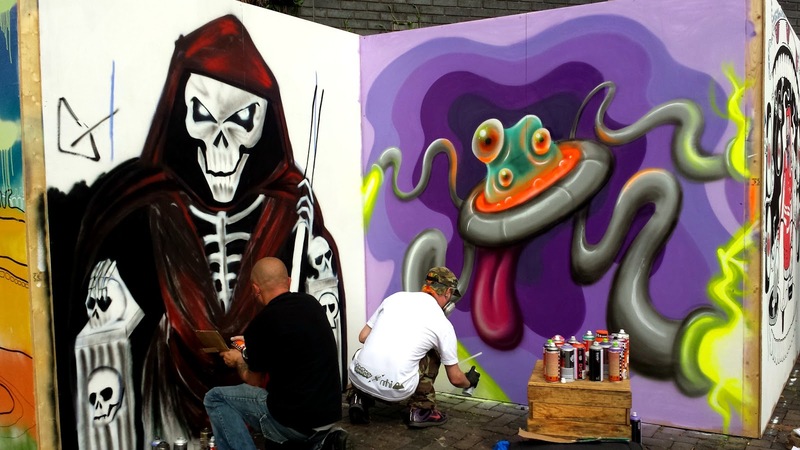 I spotted some Birmingham regulars such as Thirteen skulls and C3. Even the national express coach station got in on the festival action by hosting this beautiful piece below. 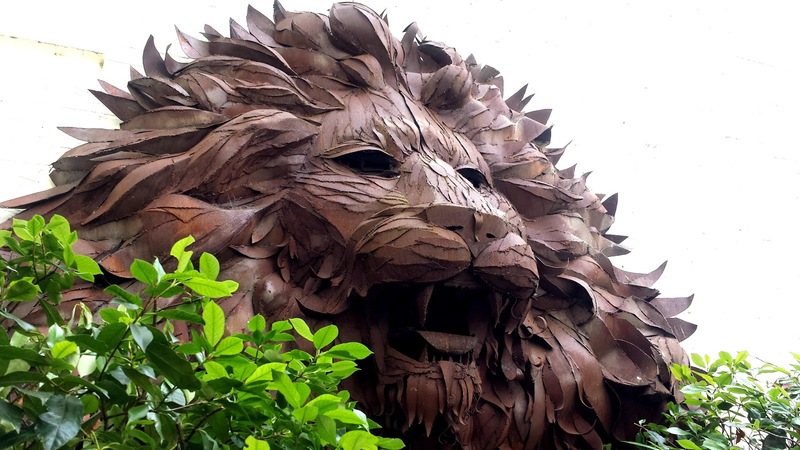 The best thing about a festival like this is even if you missed out on the day you can still have a walk round Digbeth in Birmingham and see some of the pieces. My only regret is not talking to some of the artists who are regulars around Birmingham. I know there was so much more to see through out the day as well as there were over 100 artists taking part. I hope that the festival runs again next year as I imagine it will only get bigger and better. For a full list of artists that took part check out the City Of Colours website. What is the graffiti like in your city?